COLLEGE PARK, Md. 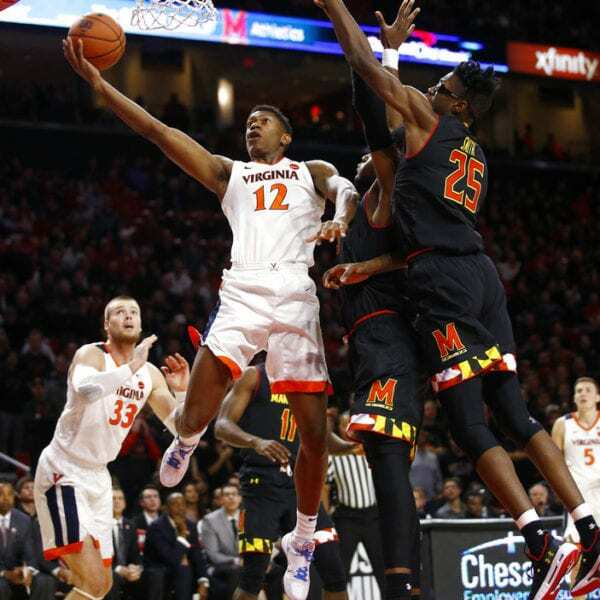 (AP) — Kyle Guy scored 18 points and No. 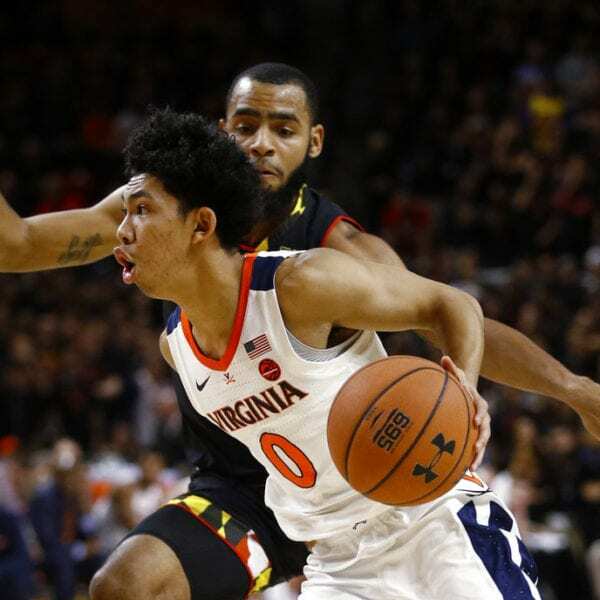 4 Virginia combined effective outside shooting with its usual stout defense to slip past 24th-ranked Maryland 76-71 Wednesday night in the ACC/Big Ten Challenge. The Cavaliers (7-0) blew most of a 17-point lead before making six free throws in the final 37 seconds to hand Maryland its first loss. Ty Jerome scored 17 and De’Andre Hunter had 15 for Virginia, which improved to 121-35 in nonconference games under coach Tony Bennett. 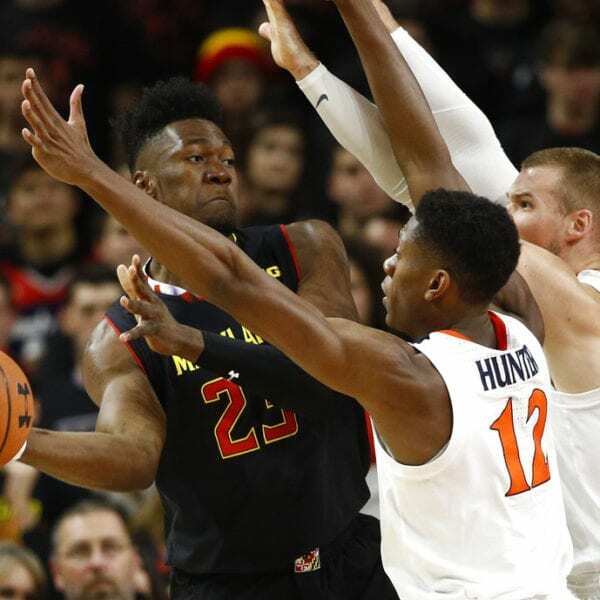 The Terrapins committed 14 turnovers, went 7 for 17 from 3-point range and finished well below their scoring average of 84.8 points per game. But they shot 54 percent and became the first team this season to break the 60-point barrier against the Cavaliers. Maryland: If this game was held later in the season, perhaps the young Terrapins would have fared better. At this point, however, they’re just not mature or good enough to compete against a talented squad with a tenacious defense. Maryland opens Big Ten play Saturday against Penn State, the last of six straight home games for the Terps. Be the first to comment on "Guy Scores 18 As No. 4 Virginia Beats No. 24 Maryland 76-71"